Or revisiting 2013’s goals at least. One of the three posts I actually wrote last year was all about my goals for last year. So I thought I should revisit and see what I actually (didn’t get) finished. Rock Island–blocked and worn and even posted about. Umm…in 2014. But finished! 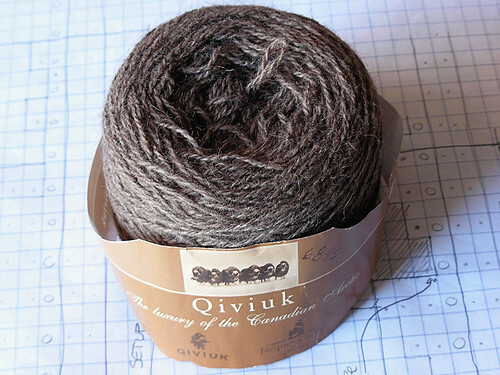 Aeolian–as of last night, the ends are finally woven in. The blocking will be more of a challenge: it is BIG. I might try the fold-in-half to block method. 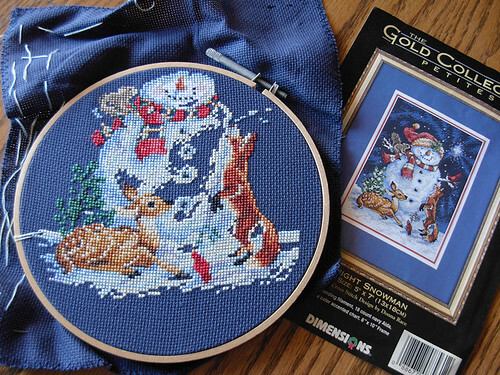 Tatted snowflakes–mostly done. 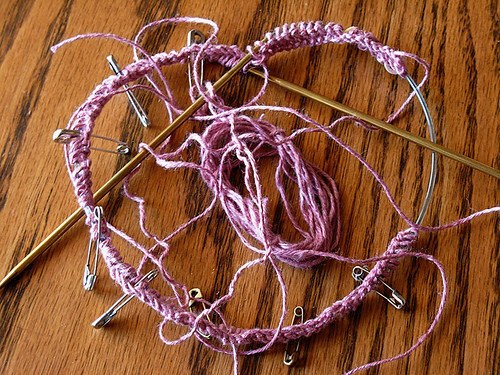 I finished one big one, started another (hmm….maybe I finished two big ones? I don’t see any starts lying around), and made a little one. This is really more of a vague goal anyways, as my aim is to have enough for my snowflake tree to look “right.” So ongoing. But also, a nice, small project that’s perfect for travel. 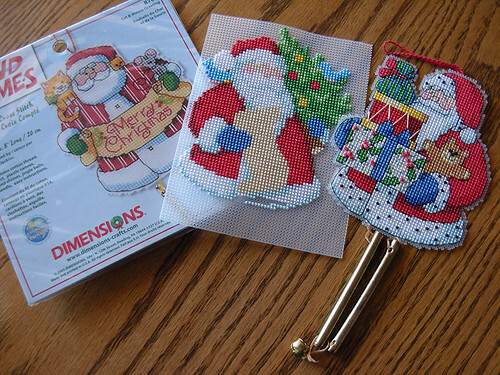 The cross-stitch projects–snowman still in progress, one Santa almost finished (just needs some finishing) and one still not started. But the finished Santa was repaired! The snowman is creeping forward, but it’s a project that requires really good light because of the dark background fabric. It would be nice to finish this all this year, though. 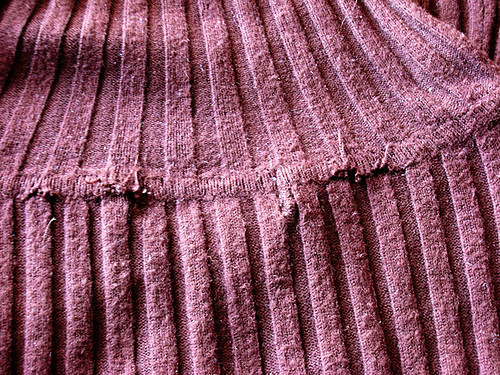 Ondule–almost finished! More on that in a future post. Pictures then, too. TBD project with Qivuik. Still TBD. I have some ideas though. 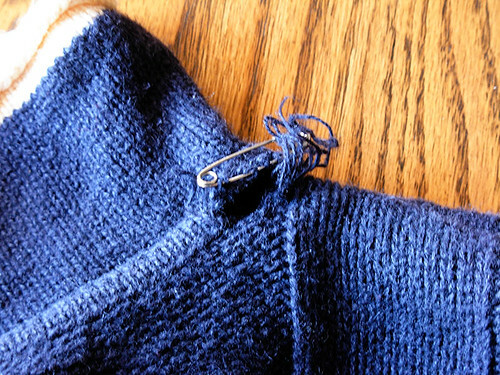 Sweater repairs–navy sweater fixed and worn (the fixing has given me no end of satisfaction–it’s still a perfectly good sweater). Brown sweater on the other hand…well, I’m stumped. Surely there has to be a way to repair it, but I haven’t worked out what it is just yet. 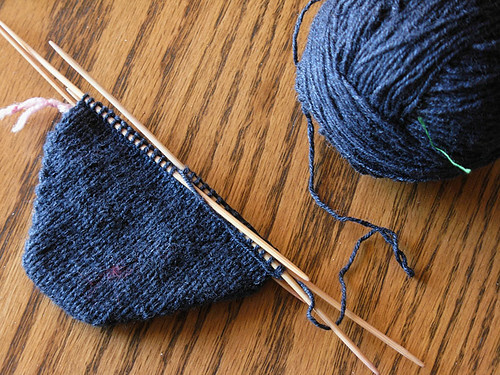 Sock TBD. 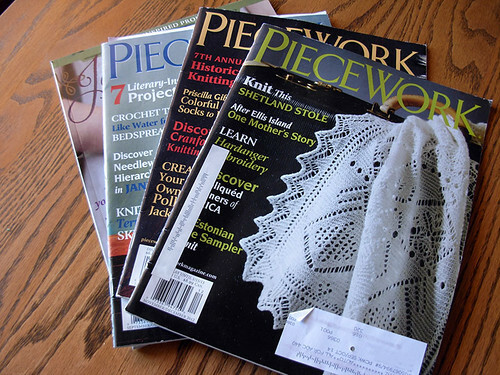 Ripped, restarted, and…even less finished. This is a problem. I need more socks. 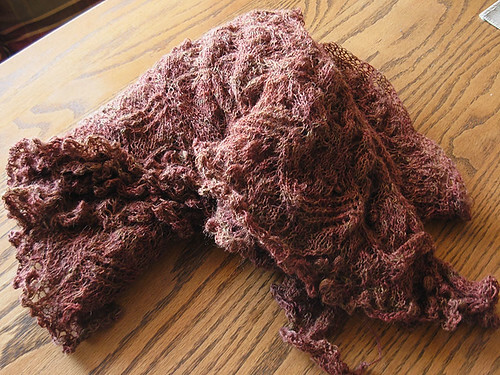 Rose shawl–frogged as part of my recent project toss. 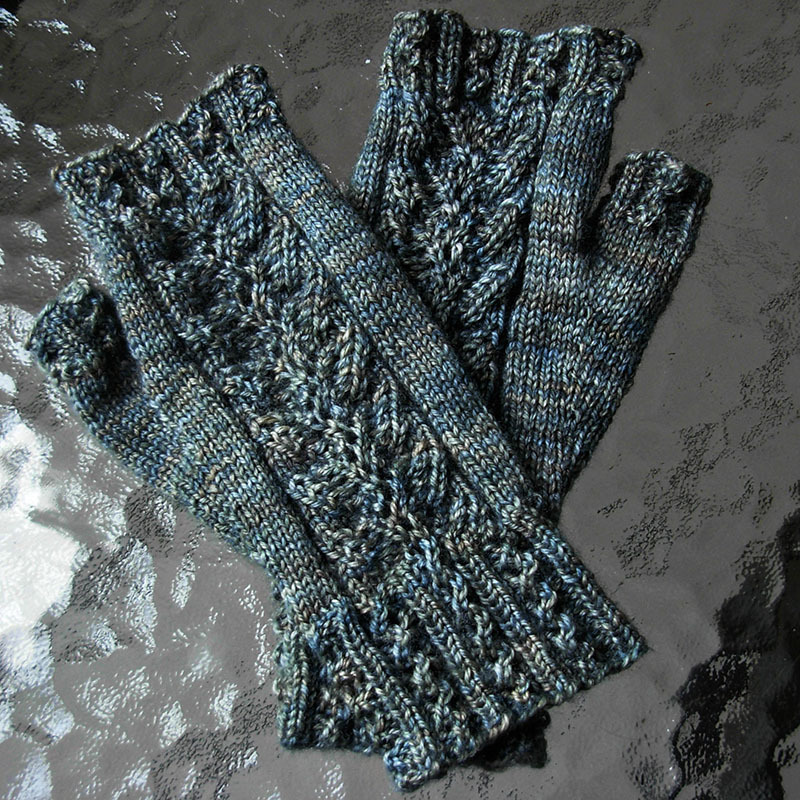 The yarn and pattern just weren’t playing nice. Thanks! 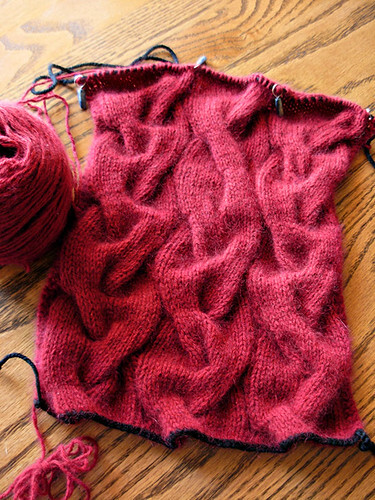 I really need to get the Aeolian blocked so the pattern can really be seen. One of these days. 🙂 Thanks for stopping by! 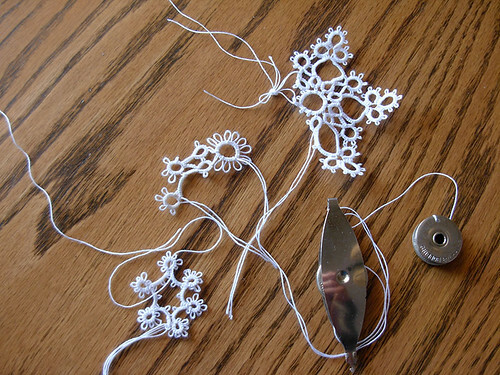 Those snowflakes have me thinking about tatting. No more hobbies! They’re going to make a beautiful snowflake tree, though. There’s quite a lot of progress in this post; even if it’s not as much as you wanted, it seems you were still getting things done!